There's been some intrigue in the high flying art world. 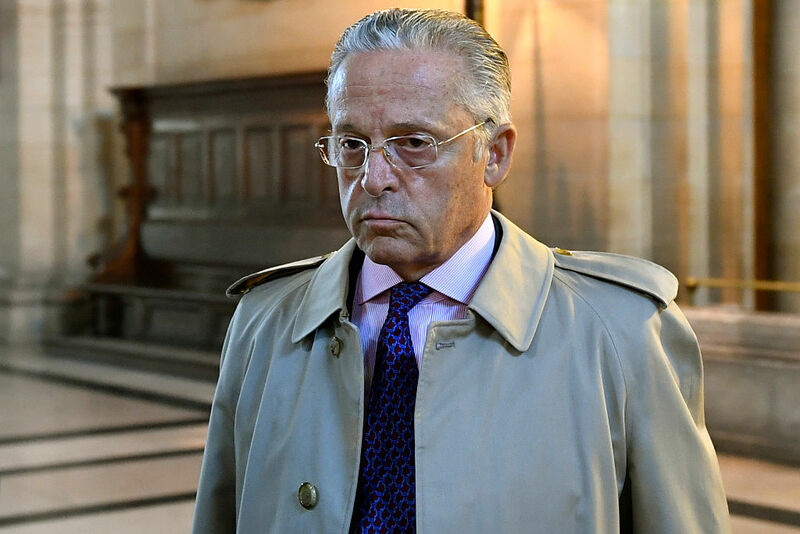 Billionaire art dealer Guy Wildenstein and seven others – from family members to financial advisors – are on trial at the Palais de Justice in Paris. Wildenstein is charged with tax fraud and money-laundering and the resulting scandal has brought a family known for being very private and secretive into the spotlight. In France, the Wildensteins are known simply as "Les W." This case is a rare look at the complicated financial agreements used by some wealthy art collectors to shield themselves from taxes. Guy Wildenstein, quite simply, is accused of failing to disclose and pay tax on the full amount of the inheritance he received after his father's death in 2001. He reported nearly $45 million in income and assets and received a tax bill of $19 million. The now 70-year-old turned to his impressive art collection to pay the tax authorities. He sold a bas-relief work originally created for none other than Marie Antoinette. Sounds legit, right? Well, not exactly, as it turns out. French prosecutors feel that Wildenstein should have declared about $677 million in taxable assets. They are alleging that Guy and his brother, Alec, used secretive trusts to move $250 million in art to Switzerland in the days immediately following their father's death. Prosecutors have argued that this was in order to avoid paying estate taxes owed to France and the U.S. Guy Wildenstein comes from a long line of prominent art dealers, dating back to the 1870s. His grandfather, Georges started the family art collection by acquiring numerous works during World War II – an act that was eventually described as 'looting.' But it was Guy's father Daniel who put together one of the largest private collections in the world. The case against Guy Wildenstein has resulted in a detailed look into the works of the Wildenstein collection. Daniel Wildenstein set up an offshore trust in the Bahamas called Delta Trust to hold roughly 2,500 works in the family collection. Those pieces were valued at $1.1 billion and managed by the Royal Bank of Canada (RBC). Since the trust's creation, about 675 works have been sold that resulted in $238 million in funds to the family. The value of the trust today is $875 million. Wildenstein claims that his father began the process of organizing the trusts in July, months before he died in October. He also claims that he simply followed the advice of lawyers and financial advisors who told him that the assets weren't owned by the family, but by independent trusts, and thus need not be disclosed to tax authorities. If convicted Wildenstein faces a maximum of seven years in prison, along with financial penalties of at least $600 million in unpaid fines and interest. But that won't be the end of it. Documents in the French investigation indicate that the IRS also plans to go after the Wildensteins.